The vegetable gardens are now starting to bloom again as I got the first batch of harvests from my colleagues, this time it’s quite different because before I usually have fruits and pumpkins, now it was broad beans. It’s nice to receive these fresh and organic crops as it becomes a challenge to me on what shall I do with them, especially when it’s given to you on the start of the week after you finished your weekly grocery, how do I incorporate this with our weekly menu. Oh, delicious Raymund – I love broad bean mash. 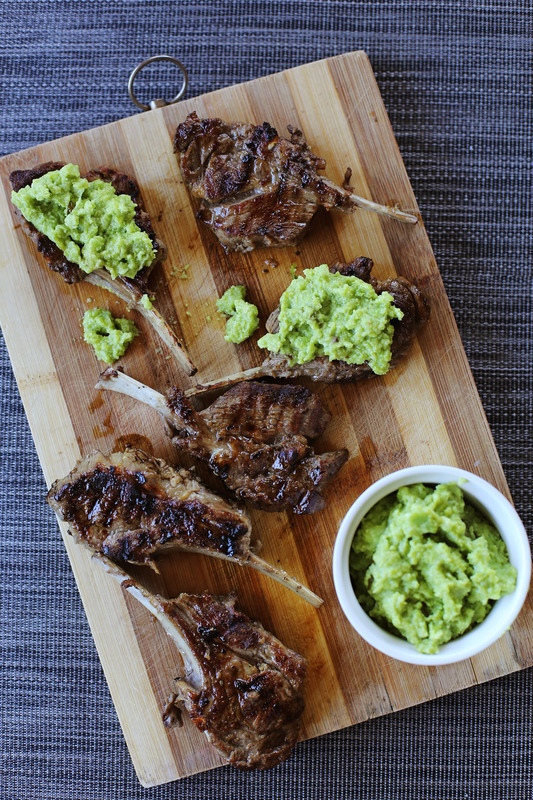 Love the broad bean mash, but me and lamb, we aint friend, perhaps a heart fish or chicken would work instead?! Nice rack! Pun intended! These are gorgeous – beautifully grilled! Grilling is truly an art form and you succeeded in making perfect chops / racks. I want in on these! I think there is no excuse for anyone who lives in NZ or Australia to do this recipe at least once!